Philip Jackman’s name was publicly noted more and more as he aged and outlived other members of the Columbia Detachment. 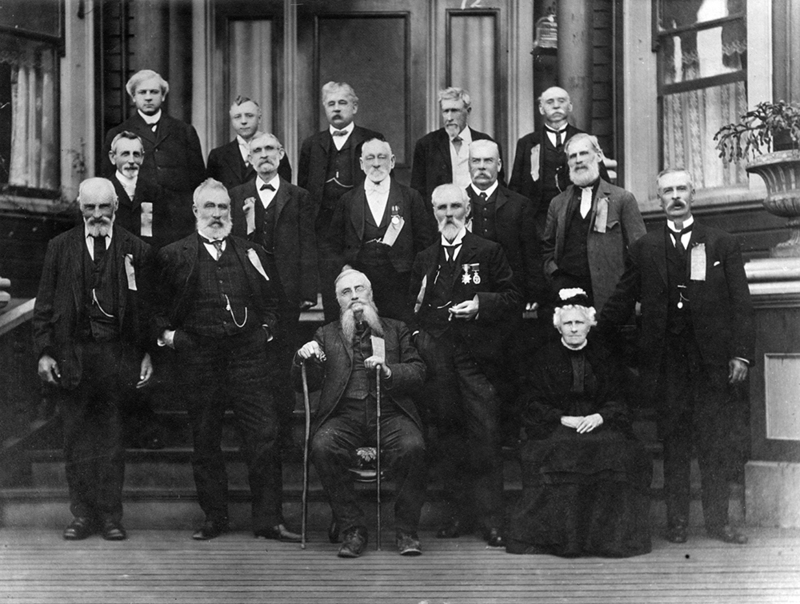 In October 1909 the surviving Sappers and Premier Richard McBride were invited to an anniversary luncheon by New Westminster Mayor W. H. Keary, son of Royal Engineer James Keary. In May 1914, the remaining four were again honoured by Premier McBride and the Native Sons of British Columbia. At the age of 77, Jackman joined the National Reserve in New Westminster in May 1912, and participated in the Reserve’s first parade on Saturday, September 21, 1912 during the visit of the Duke of Connaught. Jackman was one of the three Royal Engineers present, as he was joined by Lewis F. Bonson and Samuel Archer. Sarah Ann Jackman passed away on February 26, 1917, after almost 54 years of marriage. Sometime following, Philip moved in with his daughter and son-in-law, Amelia Sarah and Alexander Murchison, at their Surrey home on Latimer Road (now 192nd Street). The family was dealt another blow when Philip Jr. passed away in 1922. 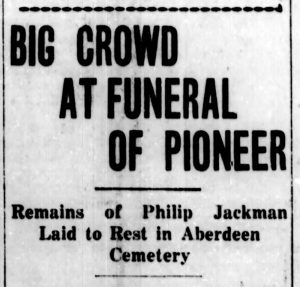 Philip Jackman passed away at the age of 92 on October 27, 1927 in the Murchison home. He was the last known living Royal Engineer of the Columbia Detachment. The funeral service was arranged by members of the International Order of Odd Fellows. The pallbearers included two grandmasters of the IOOF, former New Westminster Mayor W. H. Keary, and Langley Reeve D. W. Poppy. 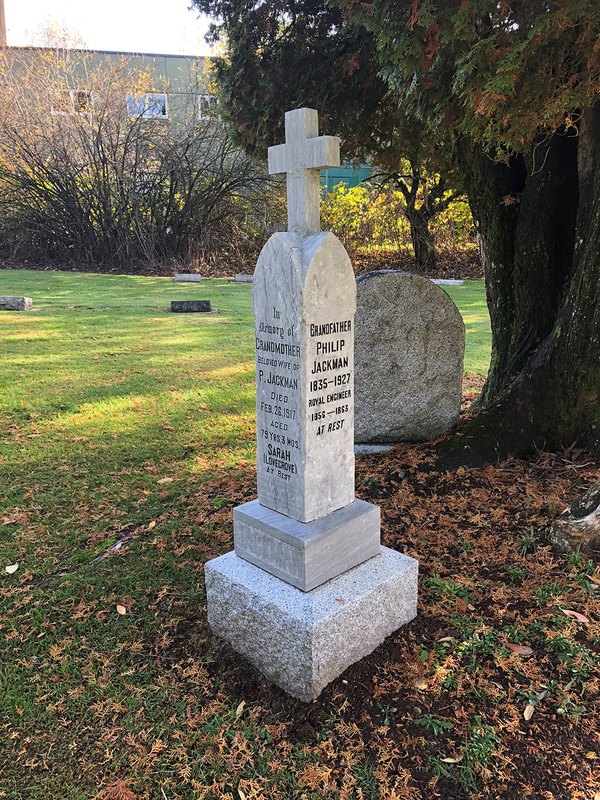 Philip was buried in the Aberdeen Cemetery just beyond the Aldergrove border in Abbotsford, with his wife, Sarah. Jackman’s legacy has lived on. In 1910, a British Columbia Electric Railway station in Aldergrove was named Jackman Station. The Aldergrove Kinsmen Heritage Park was renamed Philip Jackman Park in 2008. Jackman Manor, a residential care home, is also named after Philip Jackman.